Friday, Feb. 15, 2019, 3:30 – 5 p.m. The spread of Christianity—mainly Protestantism— in late nineteenth century Japan generated excitement among intellectuals, and a considerable number of writers converted during their youth. Virtually all of these writers, however, eventually relinquished their faith, casting doubt on the possible impact that such religious experience had on the development of their narrative. The irreconcilability of religion and literature became a truism of Meiji intellectual discourse. 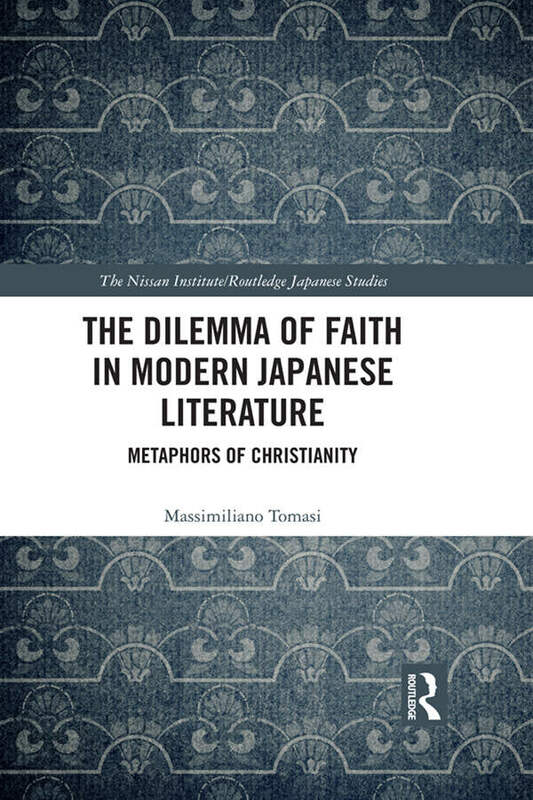 Tomasi explores the reasons for these authors’ ultimate rejection of Christianity, examining the process of their conversion and unveiling the significant influence that this had on their self-construction, their oeuvre and, likely, the trajectory of modern Japanese literature. Massimiliano Tomasi is professor of Japanese and Director of the Center for East Asian Studies at Western Washington University. He earned a PhD in Japanese from Nagoya University. Publications include Rhetoric in Modern Japan: Western Influences on the Development of Narrative and Oratorical Style (University of Hawaii Press, 2004); The Literary Theory of Shimamura Hōgetsu (1871-1918) and the Development of Feminist Discourse in Modern Japan (Mellen, 2008); and The Dilemma of Faith in Modern Japanese Literature: Metaphors of Christianity (Routledge, 2018) and he edited Religion and Spirituality in Japanese Literature (Association for Japanese Literary Studies, 2016).